I still have a lot of work left on the dining table but with the recent release of theAnarchist’s Design Book I decided to get a head start on the dinning room chairs to go with it. The long term plan is a set of windsors but in the mean time Chris Schwartz’s stick chairs look like a great option. 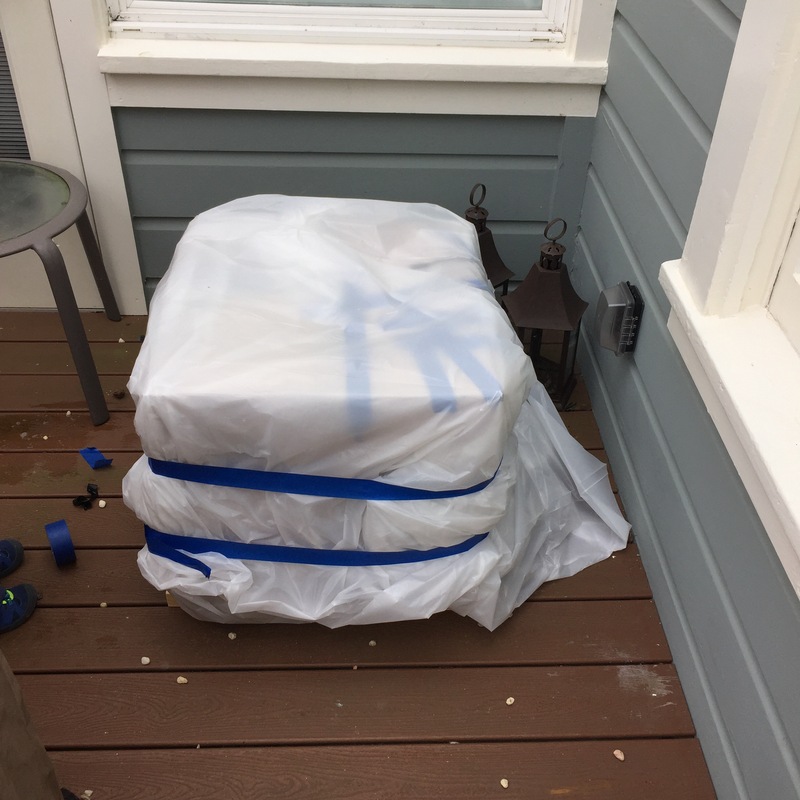 When describing wood choices for seats Chris mentioned Eucalyptus makes a good seat matrial because of its interlocking grain and since I live in Northern California, Eucalyptus is readily available. 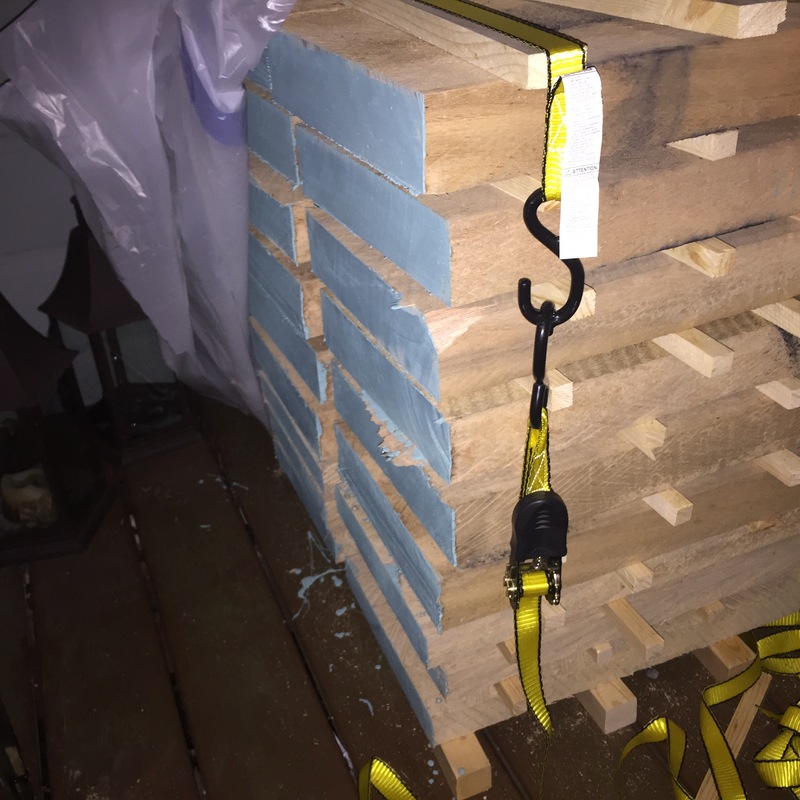 After a Saturday trip to the green waste saw mill I am now the owner of 425 lbs of green Tasmanian Blue Gum (eucalyptus globulus) which is by the most common species in the USA. 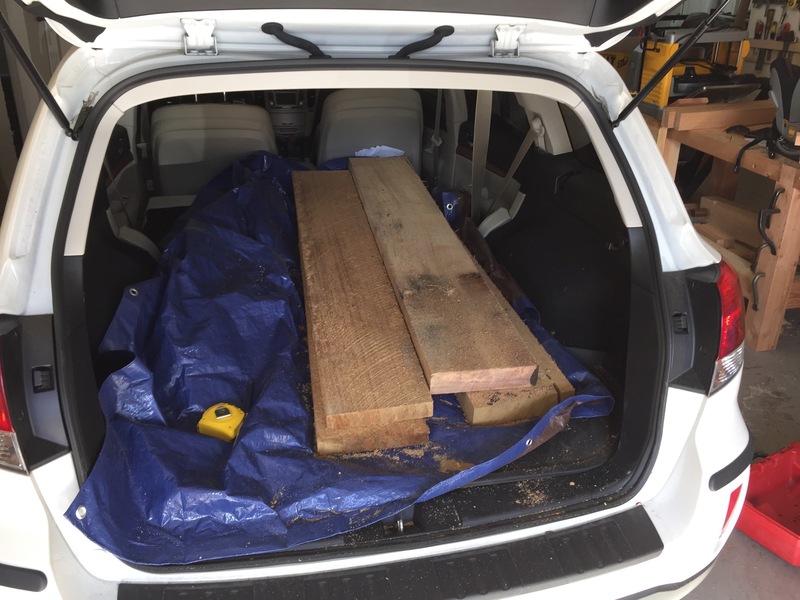 I picked up 22 linear feet of 10 inch wide 10/4 for the seats and 11 linear feet of 5/4 for the backs; enough for 6 seats and 12 backs. 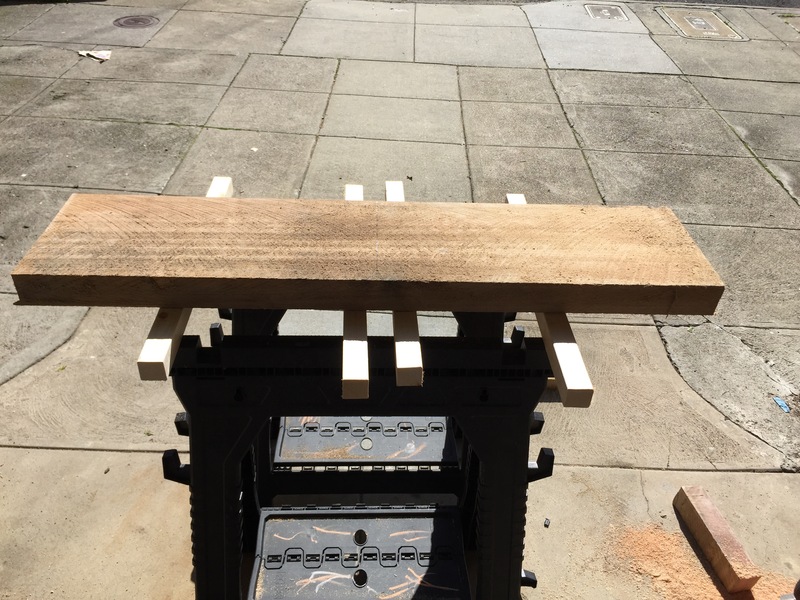 This stuff is wet (it was milled last week) so after a post on the Lost Art Press forum, some internet research, and the board lengths I decided to cut the wood into 22 inch blanks before drying. While Blue Gum is super hard when dry, right now my circular saw cut through it like butter. Unfortunately, while cutting up the boards I discovered an end crack in one of the thick boards that I had not noticed at the mill. The grain I that board had a twist at the end that I missed so one end was quartersawn and the other transitioned from flat to quartersawn over the width of the board, introducing tension that resulted in a crack. Blue Gum is notorious for warping, splitting, and collapsing during the drying process so I did some research before deciding to buy green. 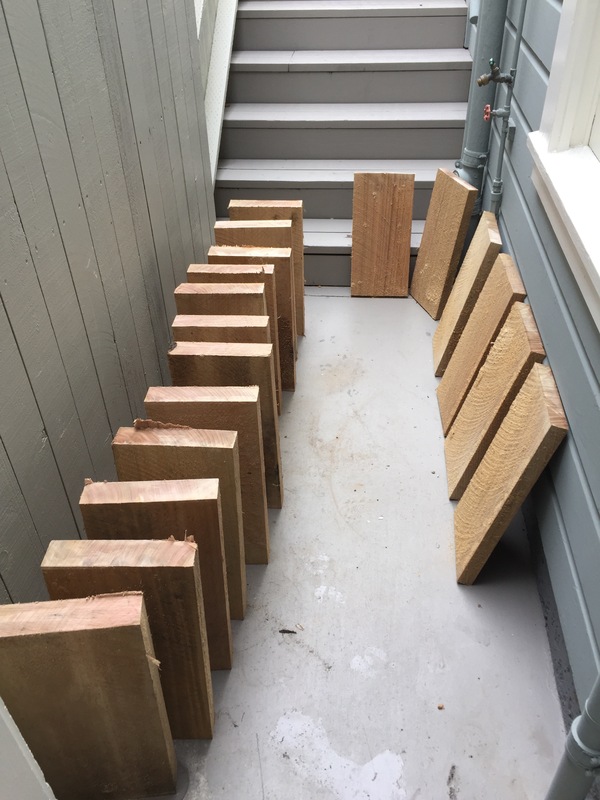 The mill said only about 1 out of every 10 trees that come in are suitable for furniture (the rest becomes mulch and landscaping timbers) and I tried to only pick quarter and rift sawn boards. 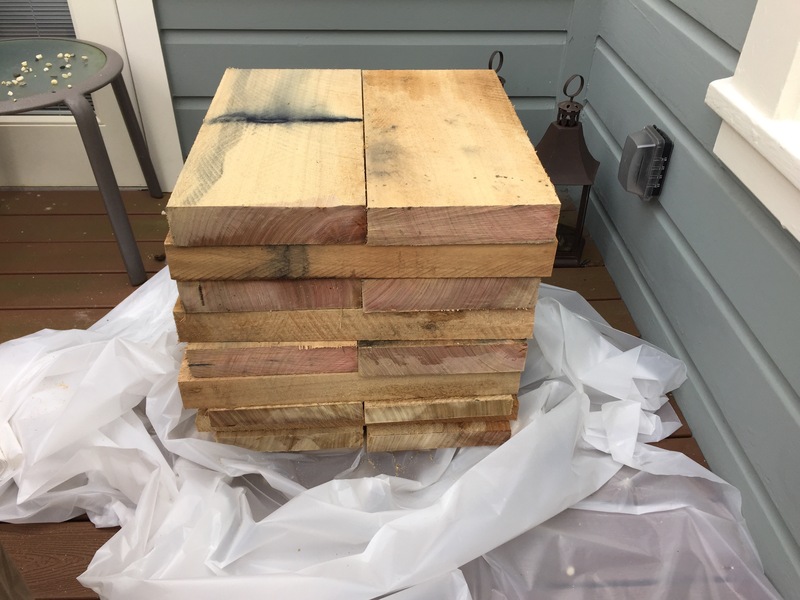 Some researchers found that periodic wetting of the wood surface helps to minimize checking/collapse and then I found this research that explained the standard drying process used by industry. Who wants to play dominos? First the boards were washed to remove the mud and saw dust then set in the shade for an hour before being block stacked and wrapped in plastic. The boards will sit wrapped in plastic for the next few weeks before they are racked out on stickers in the traditional manner. I will likely rip the boards down to remove defects at that stage and I will update posts as the air drying progresses.